Named for its location near the Sugar House on Savage's Green, the Sugar House Battery was one in a belt of waterfront fortifications "formed of earth and palmetto wood, judiciously placed and mounted with heavy cannon.” These works were constructed early in 1780, while Major General Benjamin Lincoln and Brigadier General William Moultrie prepared Charleston for the coming attack. Unlike the Cooper River side of the peninsula, the Ashley River waterfront was characterized by marshes and a network of tidal creeks. Holding the west side of the city would require blocking access by small craft. Feverish defensive efforts were underway when British forces approached Charleston by land and water in February 1780. 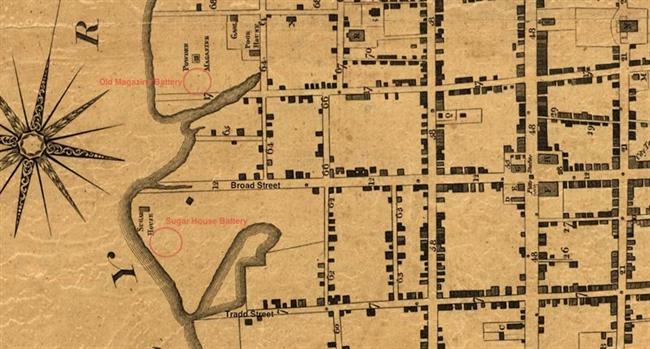 From the Gibbes Wharf to the Sugar House Battery, militiamen, engineers, and slaves worked in the mud, cutting a wet ditch or moat twelve feet wide, with a glacis [a slope in front of the fortification] and a range of oblique pickets. General Lord Cornwallis's troops established a battery at Fenwick's Point on the west bank of the Ashley River. 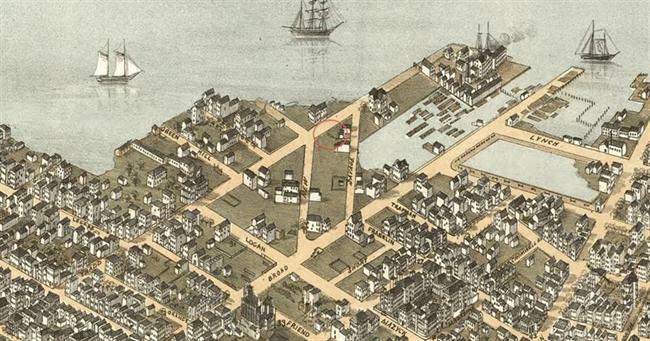 On March 12 their cannon began to fire on American ships, one of the cannonballs landing near the Sugar House Battery. 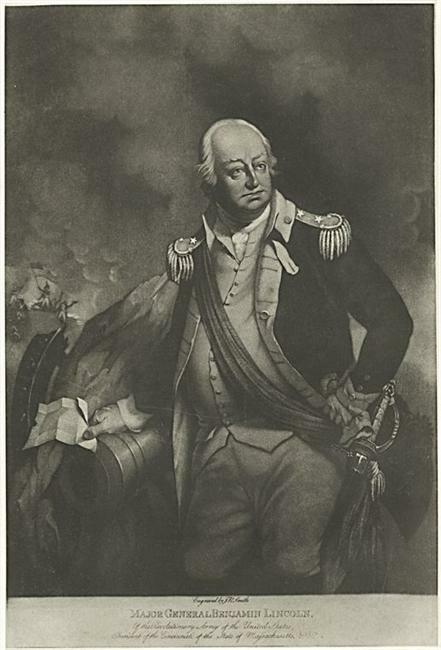 On March 22 General William Moultrie ordered all his ships to town, "their guns taken out and placed in the batteries, and manned by the sailors, by which means we have a reinforcement on shore of 1,200 men." Seven guns were placed in the Sugar House battery. The British forces besieged Charleston for sixty days. Finally, on May 12, 1780, General Lincoln surrendered his army of nearly 6,000 men. The city was under British occupation for the next two years. Edgar, Walter. "Revolutionary War." The South Carolina Encyclopedia. University of South Carolina Press, 2006. 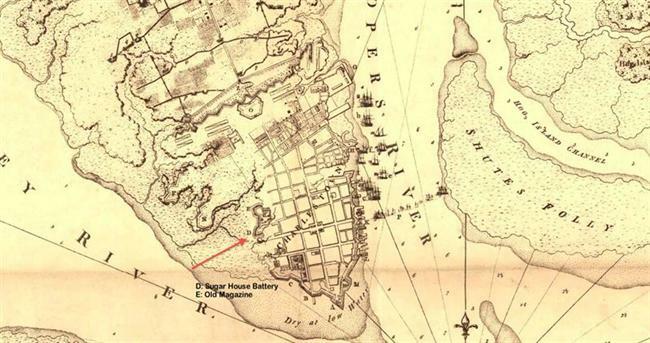 Location of the Sugar House Battery in 1788. Location of the Sugar House Battery in 1872.